Prepare the hair using Smoothing Lusterizer Shampoo & Conditioner. Apply Smoothing Lusterizer, then blow-dry with a large round brush for a smooth foundation. 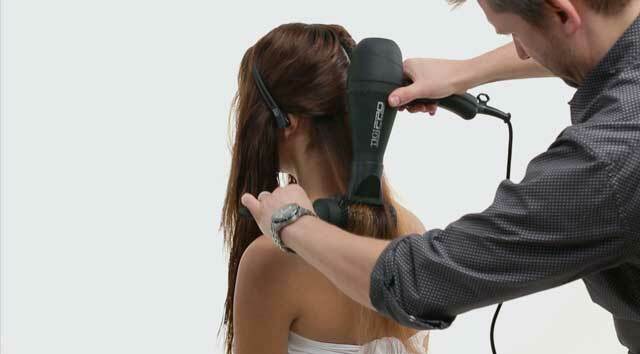 Set the hair using a 1” thick curling wand and secure with a clip, spraying each section with Vivacious Hairspray. Comb the hair into a defi ned wave and detail the shape using a wide tooth comb, fi nishing with Vivacious Hairspray, for lasting hold.